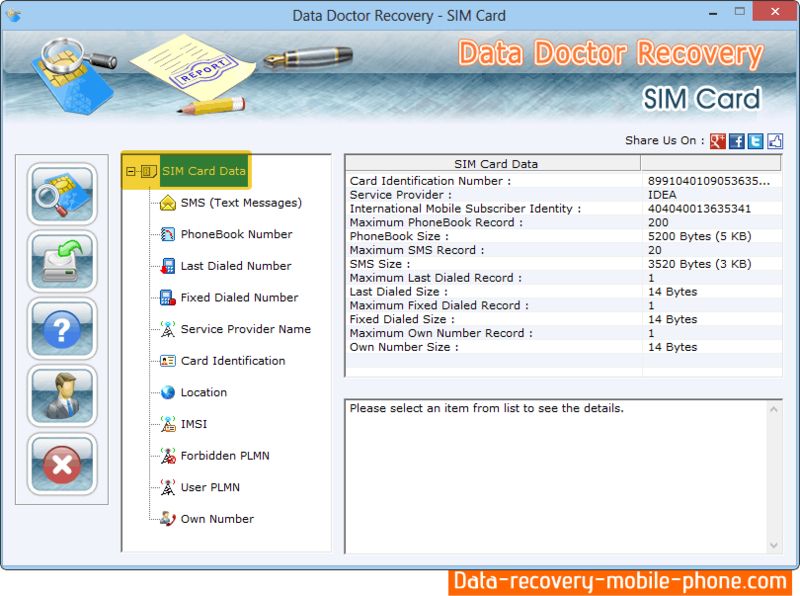 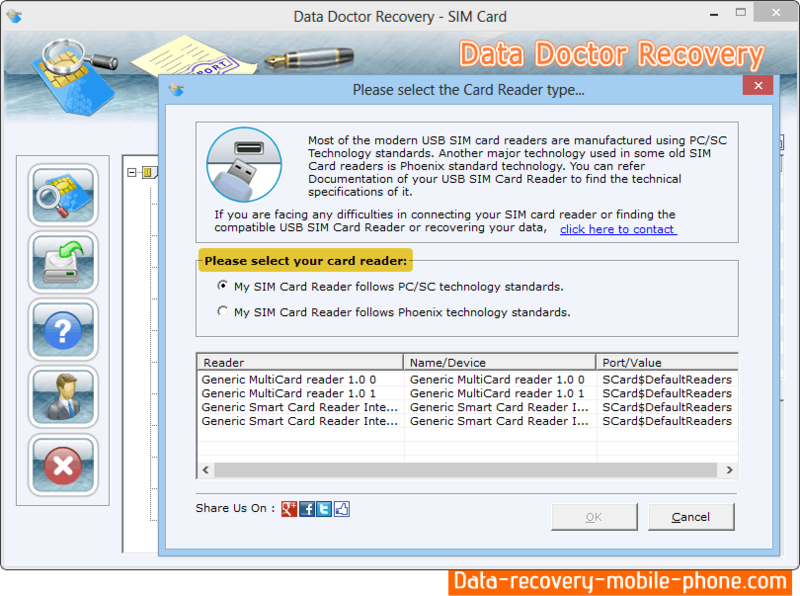 Select item (Sim card data) from left panel to view details at right side. 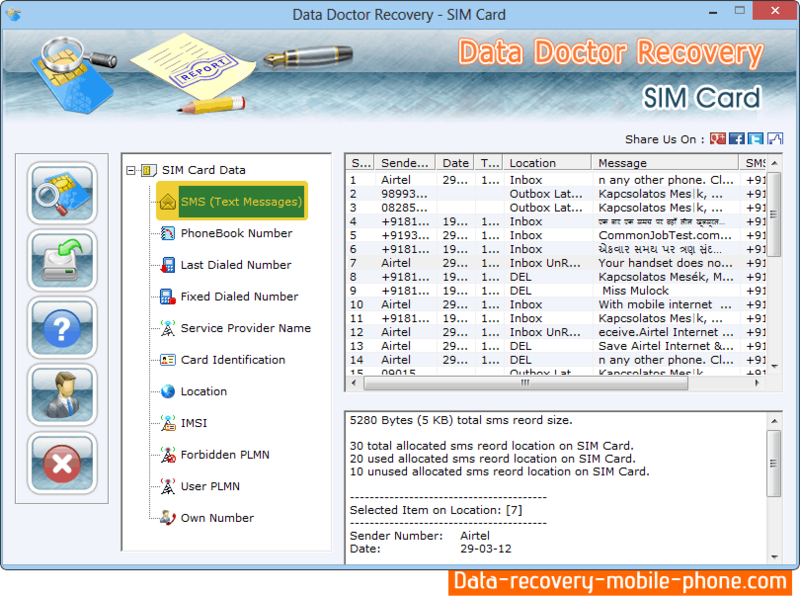 From left panel click on ‘SMS (Text Messages)’ to restore text messages. 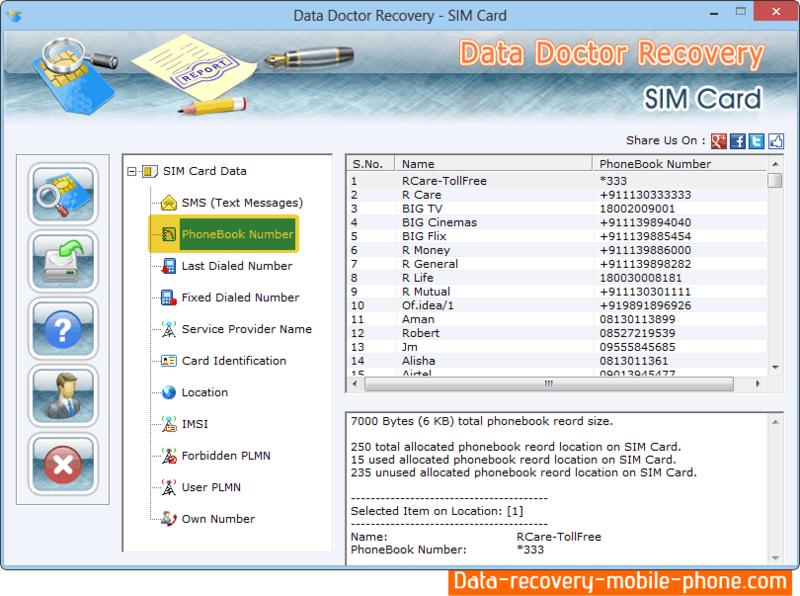 Click on ‘Phonebook Number’ to restore numbers.